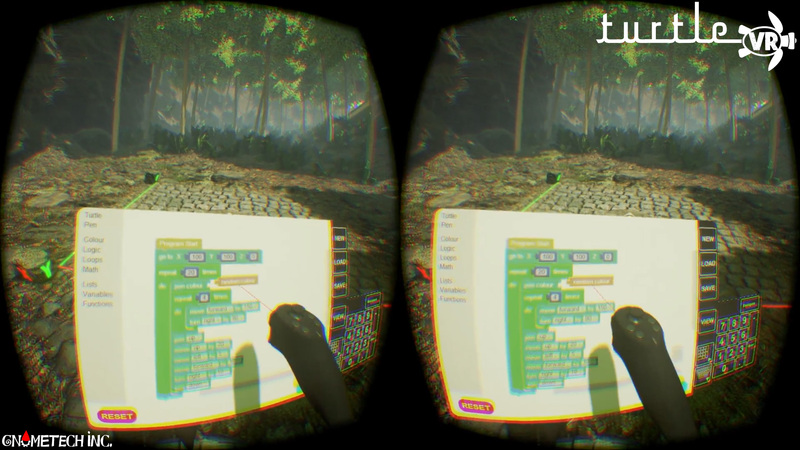 Turtle VR 1.0 is now available for download: TurtleVR-1-0.zip Built with Oculus SDK 0.7. Turtle VR is a virtual reality experience created by Gnometech. 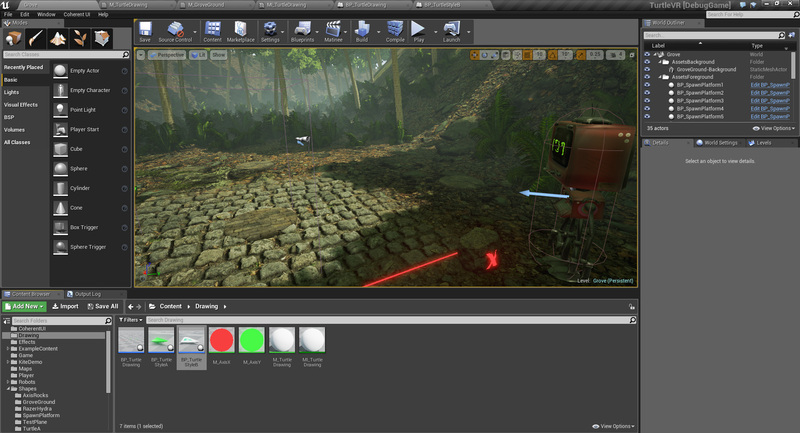 With a tablet style interface combined with Google’s Blockly, we are able to drive a programmable turtle in real-time while in VR. 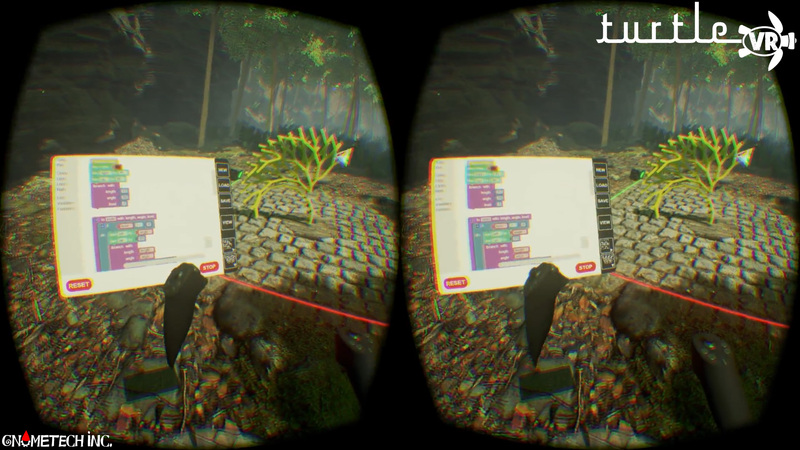 Draw and explore geometry using the code blocks Turtle VR provides, and browse through the provided catalog of programs. Block-based programming makes it easy for anyone to get started. You can save your programs and share them with your friends. 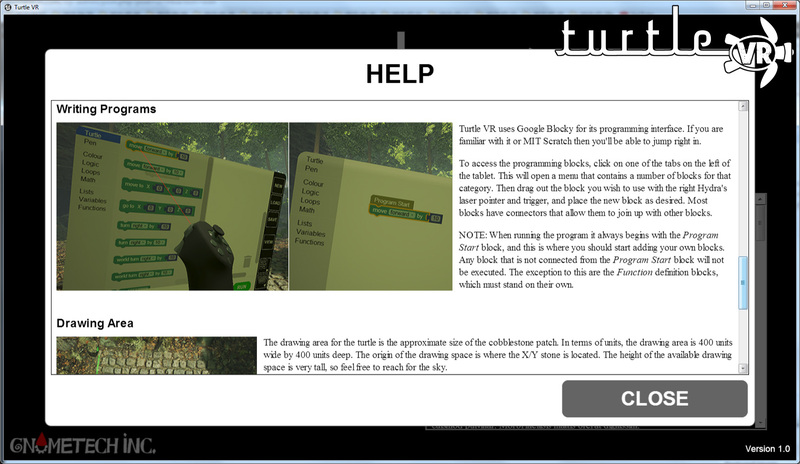 Help on using Turtle VR is available from the main menu. It requires a Razer Hydra and Oculus Rift to operate. We would love to get this running on the HTC Vive or Oculus Touch! Beta tutorial video that is still useful. The main difference from v1.0 is the addition of the Program Start block that designates the beginning of your program.